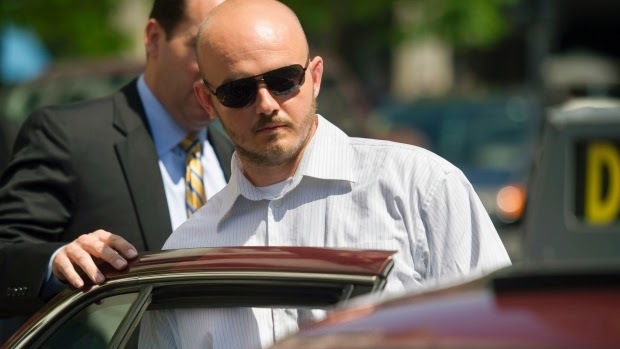 Former Blackwater Worldwide guard Nicholas Slatten was found guilty of first degree murder on Wednesday. 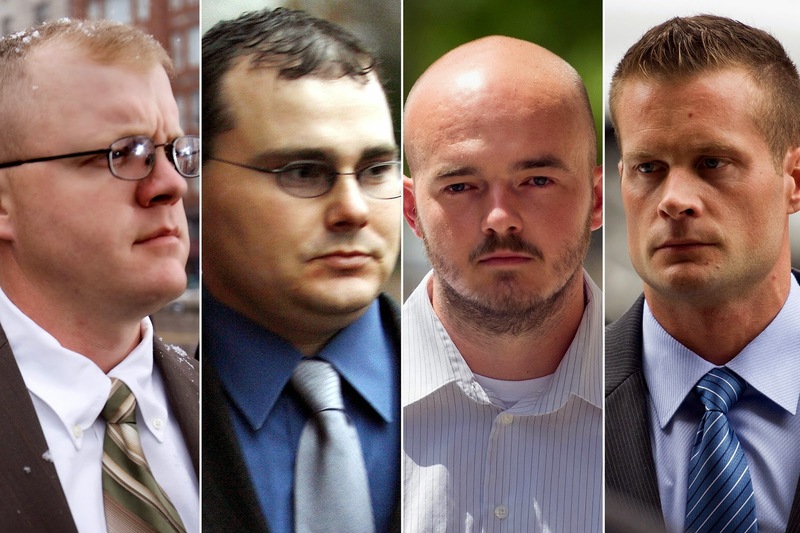 Lawyers for four former Blackwater security guards convicted in the 2007 shootings of more than 30 Iraqis in Baghdad plan to appeal, they said. The convictions stemmed from an incident that inflamed anti-American sentiment around the globe and was denounced by critics as an illustration of a war gone horribly wrong. The men claimed self-defence, but federal prosecutors argued that they had shown "a grave indifference" to the carnage their actions would cause. All four were ordered immediately to jail Wednesday. Their lawyers promised to file appeals. The judge did not immediately set a sentencing date. The federal jury found Nicholas Slatten guilty of first-degree murder, the most serious charge in a multi-count indictment. 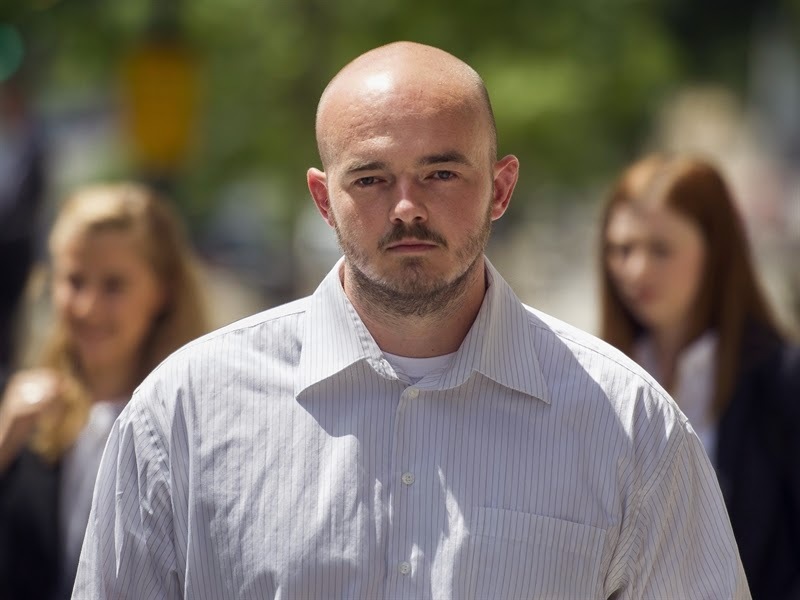 The three other guards — Paul Slough, Evan Liberty and Dustin Heard — were found guilty of multiple counts of voluntary manslaughter, attempted manslaughter and gun violations. However, one of those struck by gunfire in the shootings, Hassan Jabir, said in Baghdad that "at last we are hearing good news where justice has been achieved and Blackwater will receive their punishment." He said there are two bullets still inside his body, one in his hand and one in his back, which doctors have said it would be very risky to remove. The shootings on Sept. 16, 2007, caused an international uproar over the role of defence contractors in urban warfare. The State Department had hired Blackwater to protect American diplomats in Baghdad, the Iraqi capital, and elsewhere in the country. Blackwater convoys of four heavily armoured vehicles operated in risky environments where car bombs and attacks by insurgents were common. The defendants' lawyers said there was strong evidence the guards were targeted with gunfire from insurgents and Iraqi police, leading the guards to shoot back in self-defence. Federal prosecutors said there was no incoming gunfire and that the shootings by the guards were unprovoked. The prosecution contended that some of the Blackwater guards harborued a low regard and deep hostility toward Iraqi civilians. The four men had been charged with a combined 32 counts in the shootings and the jury was able to reach a verdict on all of them, with the exception of three against Heard. The prosecution agreed to drop those charges. Defense lawyers pressed their argument that other Blackwater guards — not Slatten — fired the first shots at the Kia sedan and that they did so only after the vehicle moved slowly toward the convoy, posing what appeared to be a threat to the Blackwater guards' safety. After Wednesday's verdict, Liberty's attorney William Coffield said he expected to appeal. Among the grounds for doing so would be an issue involving the law under which the defendants were charged, the Military Extraterritorial Jurisdiction Act. Defence lawyers say that law should not apply because the guards were contractors for the State Department, not the Pentagon. Blackwater founder Erik Prince was not on trial. The former Blackwater security guards, from left: Paul A. Slough, Dustin L. Heard, Nicholas A. Slatten and Evan S. Liberty.